The TPP would give corporations unprecedented power to block laws and regulations that protect American jobs, our public health and our environment. This would be the end of democracy as we know it. Shame on our president for trying to Fast Track TPP through with limited debate and no ability for Congress to amend this disaster. So far, NY senators are opposing fast track, as is Congressman Gibson. A call to their offices to thank them and tell them to stay strong would be helpful. Capitol switchboard - 202 244-3121. 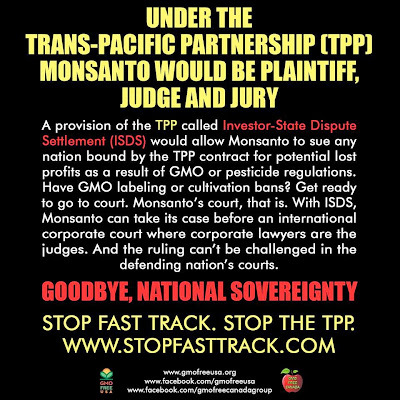 All should call their representatives today- tell them no fast track for TPP! 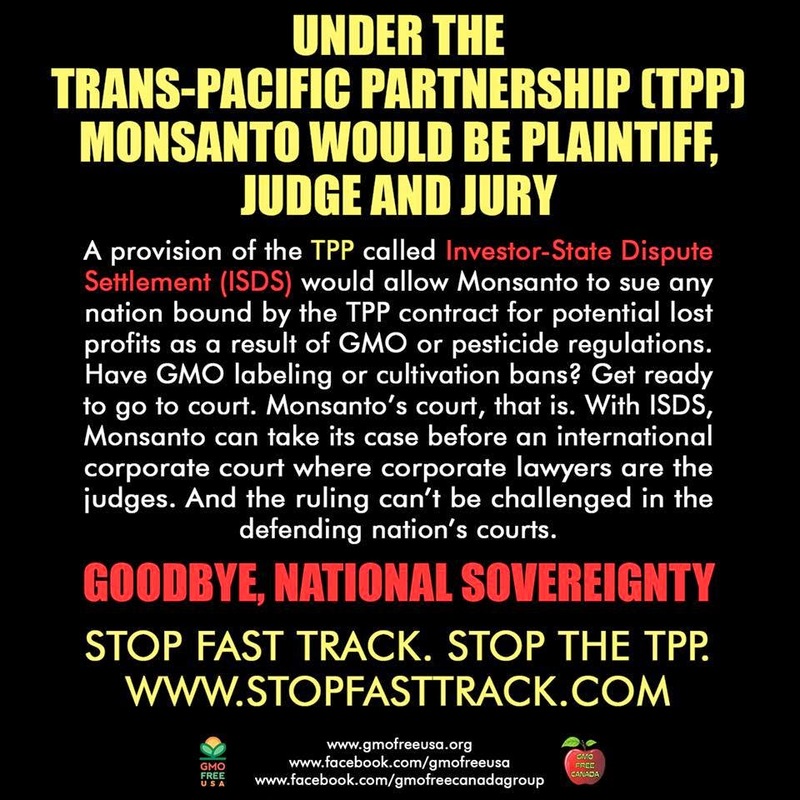 Learn more about TPP and other action steps you can take below. challenged in the defending nation’s courts. HELLO, GMO & PESTICIDE TAKEOVER. debate or public review. STOP FAST TRACK.